Rush are getting the tribute treatment by London’s Royal Philharmonic Orchestra. Purple Pyramid Records (a division of Cleopatra Records) will release "The Royal Philharmonic Orchestra Plays The Music Of Rush" on November 13. Nearly sixty musicians and thirty vocalists transform nine of Rush’s greatest hits into even more intricate, soaring orchestral works. Special guest guitarists include Steve Rothery of Marillion on “Working Man”, and Adrian Smith of Iron Maiden on “Red Barchetta.” The Windrush Choir provides backing vocals and solos. The Orchestra was recorded at the legendary Abbey Road Studios in London, conducted by BAFTA Award-winning musician and composer Richard Harvey. Harvey performed with the prog rock group Gryphon and as an accomplished multi-instrumentalist (specializing in mediaeval and Renaissance periods), worked with many folk and rock musicians such as Richard and Linda Thompson, Kate Bush, and Sweet. The album was produced by James Graydon and Richard Cottle, who also arranged all the music. The RPO, formed in 1946 and based in London, has been called The Nation’s Favourite Orchestra. It has had internationally known maestros like Andre Previn and Louis Clark, and has toured the world. The RPO is a best-selling and adventurous recording entity as well. In 1969, it recorded a concerto for Deep Purple, composed by the band’s organist Jon Lord. It earned a top ten U.S. single in 1982 with "Hooked on Classics." Over the years, RPO has orchestrally arranged Pink Floyd, Oasis, Queen, R.E.M. and others. Listen to the RPO perform the “2112 Overture” here. 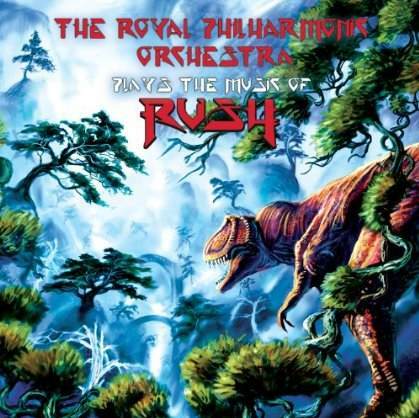 "The Royal Philharmonic Orchestra Plays The Music Of Rush"